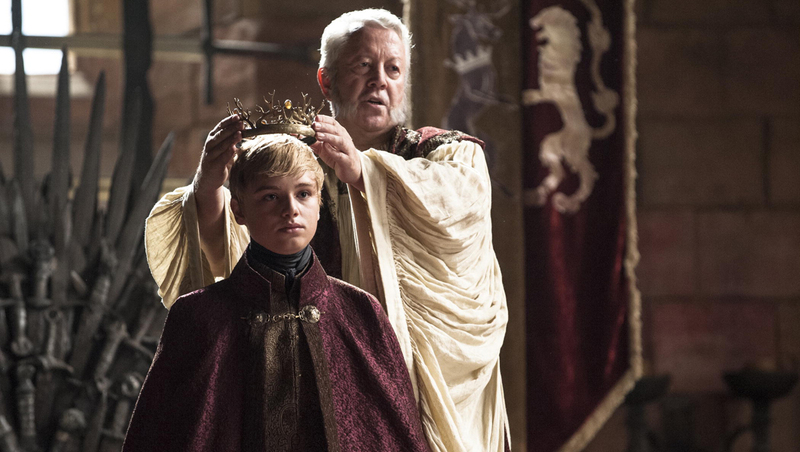 "Game of Thrones" has earned yet another jewel in its ratings crown. Sunday's episode, "First of His Name" (read our recap here), marked a series high in viewers for the HBO drama. An audience of 7.2 million watched the first airing at 9 p.m. ET, and that total grew to 8.6 million when including encores that night. This marks the fourth consecutive episode of "Thrones" to climb in the ratings and the third series-high episode in a row, Entertainment Weekly reports. Overall, the program is averaging 17.8 million viewers per episode this season across all platforms -- up 24 percent from last year. "Game of Thrones" returns with another new episode this coming weekend, titled "The Laws of Gods and Men."